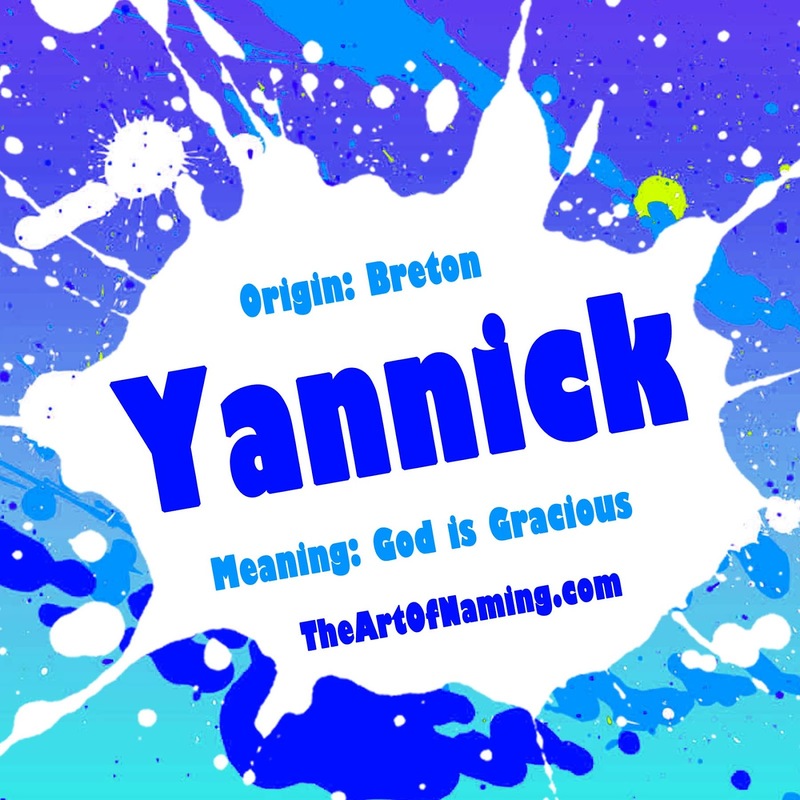 Our final boy name of the A-Z series is Yannick. It comes straight from the list of The Very Best Y Names for boys and girls. Yannick is a diminutive of the name Yann which is the Breton form of the name John. Yann is well-used by the French, recently ranking at #113. Yannick is a bit more unusual but it did rank at #288 in The Netherlands recently. Nameberry says that Yannick is "not likely to appeal to many American ears," but I disagree. It may never be popular but it isn't strange either. It could even be unusually refreshing to meet a little Yannick. There have been many names ending with -ick over the years. In the 1960s in particular, names like Derrick, Erick, Dominick, Frederick and Patrick ranked well. They all declined in usage after that but they are all ticking upward again today. Add to that list Maverick and Kendrick too for more modern options. Perhaps, though, they are referring to the "yann" part rather than the "ick". Y Names in general aren't popular. They're not even common. There's no denying that. But if you were to choose one, Yannick is one of the cooler options. Yannick has been in use in the US since 1981. It has never been popular but it is regularly used. The most births in a single year that it has received was 34 in 2013, and it is currently down to 33 in 2014. Since it is a form of John, Yannick means "God is gracious". This name could very nicely honor a relative with any number of related John names, especially if the family has any French or Breton ancestry. If you're looking for something French and unusual with a solid lineage, Yannick would be a great choice. 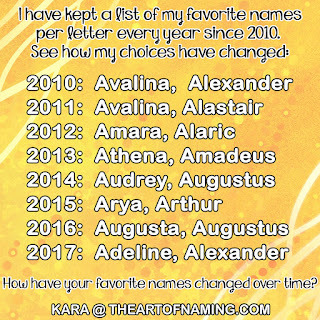 Here are some ideas for sibling and middle names. What do you think of Yannick? Is there another Y name you would have chosen instead?